​The goal of our program is to provide families with an exceptional labradoodle companion that can be trained to do anything and will live a long and healthy life. 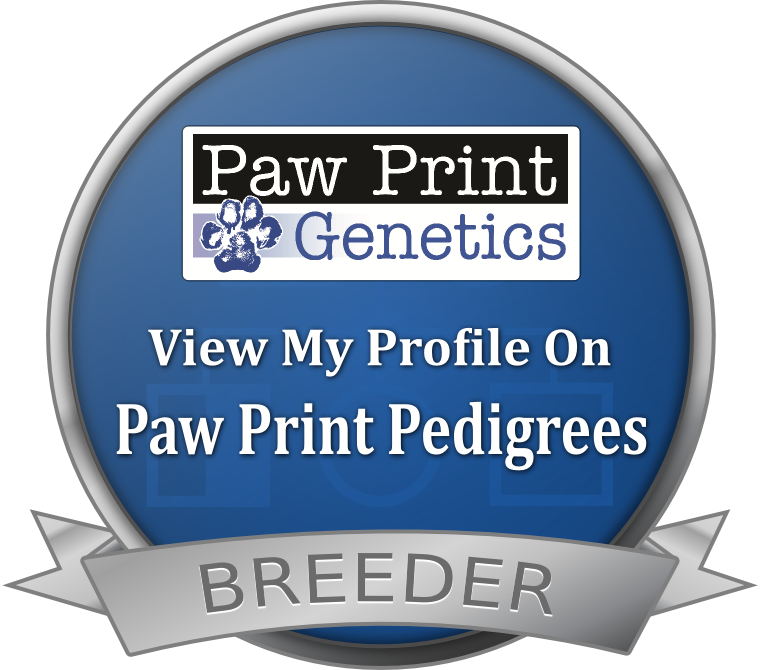 Therefore we focus on breeding dogs that only have remarkable personalities and superior genetics. Our outstanding program has been recognized by the Continental Kennel Club and we are Nebraska's ONLY Preferred Breeder with the CKC registry. This program holds breeders to the highest standards regarding health testing, care for their breeding dogs as well as care for their puppies and client education. We are proud to be among the elite breeders of the CKC. We pride ourselves in the education we have received and the knowledge that we continue to gain to better our breeding program. Brittany has her bachelor's degree from the University of Nebraska-Lincoln with an emphasis in Equine Science and Animal Reproduction. She worked for two years under Nebraska's only veterinarian board certified in reproduction. Further she has personal contacts with many veterinarians and vet technicians throughout the state. We also have a large circle of dog breeding and dog training associates. Brittany has a thorough understanding of the breeding practice and what steps are necessary to take to ensure we are bettering the labradoodle breed. Extensive research is always done in regards to the care and health for our breeding dogs, puppy rearing practices and client education. Here at JNB Stables we do not believe in kennel life for dogs. To ensure the best life for every dog in our program we keep a very limited number of dogs in our house because they are our "fur children" and we want to be sure they receive the attention that they need, as every dog deserves. Therefore we utilize guardian homes to expand our breeding program. Guardian dogs live their life with a forever family but come back to visit for their "honeymoon", or when it is time to have puppies. Once they have finished their breeding career we have them spayed or neutered and then they go about their amazing lives either with us or their guardian family. Our puppies are raised in our home as part of the family and are exposed to life on the farm, meeting other dogs, cats, horses and chickens. They are handled many times throughout the day and from days 3 through 16 we use the Biosensor Routine. Puppies handled with this method have been scientifically shown to have an increased tolerance to stress, stronger immune systems, stronger heart rates and breathing rates, stronger nervous systems, and better and more consistent temperaments. They have also been shown to have longer lifespans. Additionally we have added Puppy Culture to our program. Puppy Culture represents a gold standard in puppy rearing and early socialization. Our handling program along with their outstanding minds allows these puppies to be trained for anything. Our puppies are providing service work, many are out training to retrieve in the field or from the blind of course they are all outstanding family pets. They are easy to train, eager to please and are completely devoted. Each of our puppies go home with a complete package including everything they need for a healthy start plus quite a few extras! Our puppy families are a part of our extending family and we always are here to answer questions, give advice and puppy sit whenever possible. We have the highest standards for raising exceptionally healthy puppies. And as healthy puppies start before conception all of our breeding dogs are tested through OFA health evaluations for hips, elbows, cardiac, patellas and eyes as well as a panel of breed-specific diseases from Paw Print Genetics to ensure only the highest quality genetics are passed onto our puppies It is an investment that every breeder should make as you cannot better the breed and raise exceptional puppies without doing so. Further we do necessary testing for the furnishing gene to ensure that none of our puppies are born with improper furnishings. Giving back to dogs in need is very important to us. Brittany worked at the humane society in Grand Island and we understand that there are thousands of animals in need. But we know that adopting is not for every family looking to add a pet, just as it is not for every family wanting to add a child. There are many instances where families are interested in a dog with a particular background, a particular skill-set or a dog that come from health-tested parents, etc. That is why for every exceptional puppy that is purchased from us we donate back to our local humane society.